On the water at 6pm after work for and kited for one hour. Nice to be out again. I didn't try anything too radical. Just out and back a few times, keeping the kite out of the water. A few others were out too. 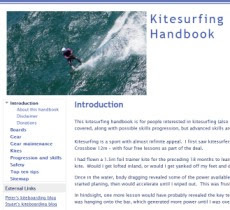 One guy had a large C-shaped kite (14m) and said he was going for more wake style riding after using a Crossbow for a while.